Need Samsung Galaxy S3 repairs Melbourne CBD? Come and get your Samsung Galaxy S3 repaired with us at Fixspot! At Fixspot, we we fix your phone on the spot - and with repair times of 30 minutes or less for one part repairs, we really mean that. We are located just 5 minutes walk away from the Flinders Street Train Station. Flinders Street station can be accessed easily from anywhere in Melbourne. Once you get to Flinders St station - accessible by train, bus or tram - simply walk up Swanston Street till you get to Century Building, 125 Swanston Street. Our offices are just a few shops before Little Collins Street. For more details on how to contact us, please see below. 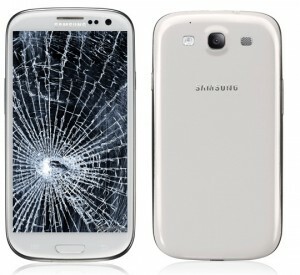 For a list of our Samsung Galaxy S3 repairs Melbourne CBD prices, please see to your left. If you need further information on our Samsung Galaxy S3 repairs Melbourne CBD, please don't hesitate to contact us.